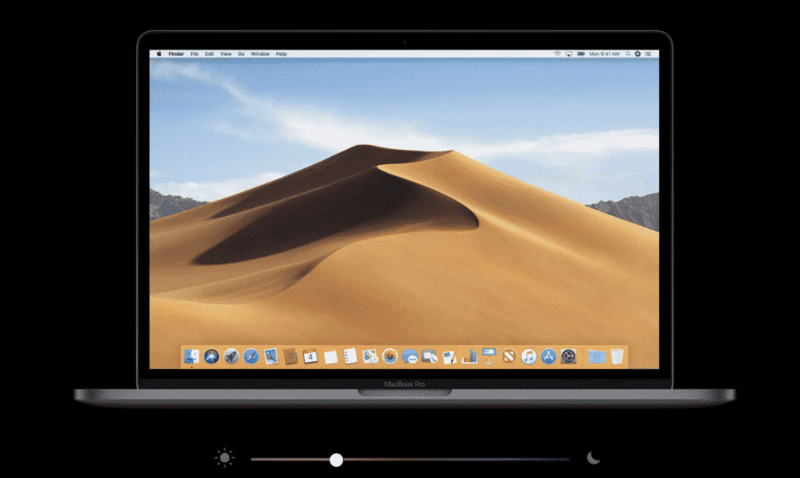 Apple’s latest version of its operating system, macOS 10.14 Mojave, is set to be released sometime in September or perhaps October. Is your system prepared for the update? Is your system even compatible with the new operating system? Today, we will take a closer look at what you need to know and do to get ready for the macOS 10.14 Mojave upgrade and then round it out with a few new features coming to Mojave. If you have an older Mac, you are simply out of luck. Are you ready to upgrade? If not, you can expect to see continued security update and even software fixes for many of the past versions, but don’t hold your breath that you will ever see some of the newest features. As always, if you are running one of the older Macs, your time is running out. If I were you, I would check out some of the newer Macbooks in here in our best laptop guides here. So now that you have determined that your Mac is compatible with the latest version of macOS, is there anything you need to do to get ready for it? Why yes, there is. Here’s what you should do. The first thing you need to do is clean up your Mac. Remove any unwanted files and applications. The files you do decide to keep, you should organize. macOS 10.14 Mojave approaches disk storage differently, and prefers a cleaner hard drive for optimal efficiency. So clean and organize everything before you run the upgrade. Before we hit the final release date of Mojave, whatever that might be, go ahead and run any and all outstanding updates on your Mac. This includes any patches, security updates and all updates to your Mac software. This will ensure you have the latest software before this new macOS version is released. Once you have completed your file clean up and your updates, it’s time to backup your Mac. If you use Time Machine, grab a full backup of your Mac before you run the new update. If you don’t, make sure you pull any and all valuable files from the system so you don’t lose anything if something goes wrong with the update. That’s all there is to it. Once you have performed these three easy steps, you are ready for the new upgrade. I encourage you to start now to give yourself plenty of time to get through everything. After all, you don’t want to be scrambling the day the update goes live and I’m sure you want the update as soon as possible. It’s hard to believe that we are about see the fourteenth version of Mac OS X, now dubbed macOS, but here we are. The new version focuses more of speed and behind the scenes enhancements, but that doesn’t mean Apple isn’t including many new goodies that we will enjoy. This is by no means a complete list, but highlights some of the best ones coming, at least in my opinion. The idea of Dark Mode isn’t new, and there is already a type of Dark Mode available. But what it does is very limited. Yes, it changes the menu bar and the dock, but not much else. Even most of Apple’s own apps didn’t support it. 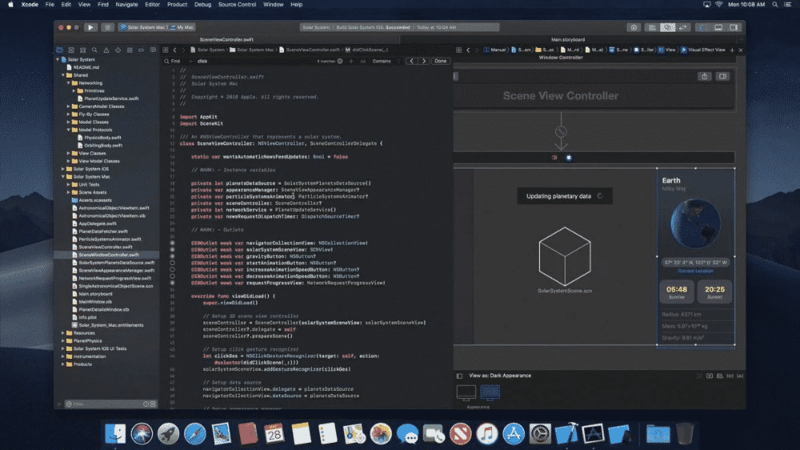 But with Mojave, this integration is pretty much what everyone has wanted for years now. If you keep a lot of files on your Desktop, your computer can appear quite cluttered in the blink of an eye. 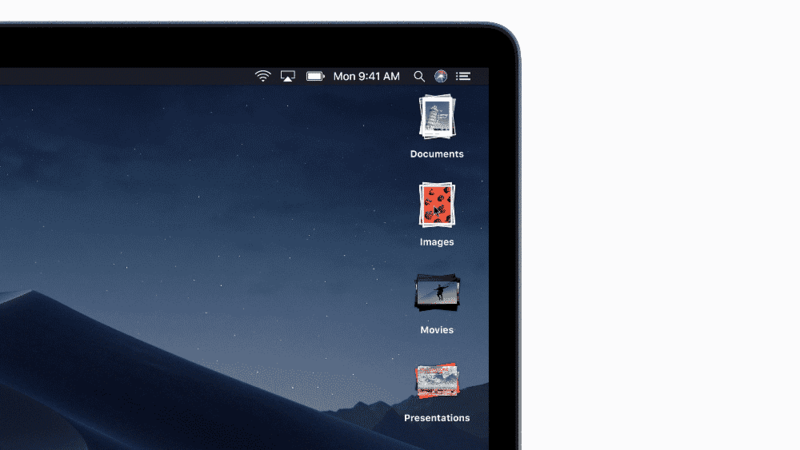 Now, Apple has a provided a solution with a new way of organizing with Desktop Stacks. This new feature organize files according to type, making it easy for you to find what you need. Now I’m not sure how well this will work in practice, as I haven’t tested it myself, but I can see the potential. Now this feature is pretty interesting. 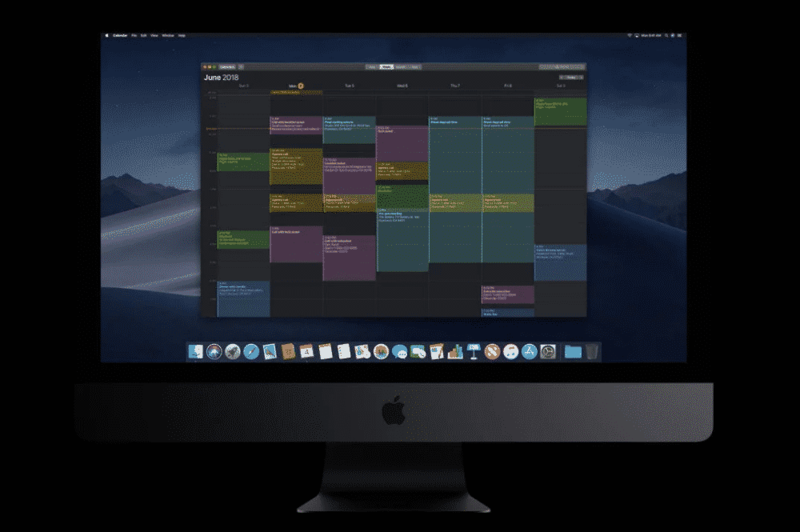 The Dynamic Desktop will change your desktop wallpaper based on the time of day. For example, during the full height of the sun, your wallpaper will be bright, but it will gradually go darker as the day passes. This could be very helpful when you must use your machine late at night when the brightness can hurt your eyes. Apple is altering the behavior of screenshots. Don’t worry, all the handy commands for screenshots are still there, but now when you take a shot a thumbnail will appear, much like in iOS, giving you a preview of the shot you just grabbed. Apple has also made a few adjustments to the Finder, adding a new view known as Gallery View. This view will allow you to preview the file and even make small edits from right inside the Finder. For example, you can preview a PDF and even use markup tools to add notes or even add your signature. Apple is increasingly targeting Google and other news providers/aggregators on their platforms. With the introduction of the News app already found on iOS, Apple is trying to increase its reach and give you a unified way to get updates on the latest goings on around you. Apple’s Home app found on iOS that allows you to control things such as your home’s thermostat and more is now coming to your Mac. Now, if you need to adjust the temperature in your home, you won’t have to whip out your iPhone, just open the app on your Mac and adjust whatever you need. Remember, this isn’t everything that is coming to macOS 10.14 Mojave. This is just some of the highlights of many of the features you will be noticing when you upgrade. In fact, there are many others that are coming along with many under the hood improvements. macOS 10.14 Mojave is almost here. Is your Mac ready to go? Getting your Mac ready for the upgrade is pretty easy, especially when you compare it to Windows updates, so there is no reason why you shouldn’t be ready to go when the upgrade finally drops in the next month or so. 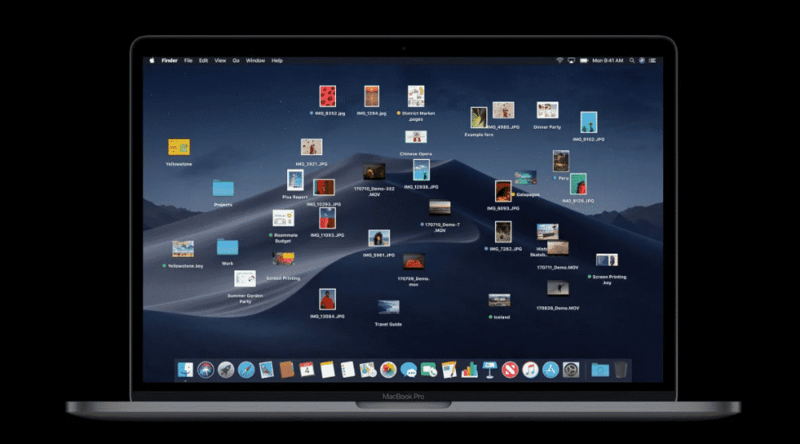 Mojave brings with it many new features that should improve our use of our Macs, but you need to make sure you are ready. Are you looking forward to this new upgrade coming from Apple, or do you prefer to stick with the version of macOS you already have? Better yet, are you upset that Apple is excluding your Mac from the upgrade? Tell me your thoughts and opinions in the comments below.